Analysis: Addae has seen his production slip this season with the emergence of Denzel James and Adrian Phillips, despite the fact the veteran safety has played in 98 percent of the team's defensive snaps. Generally considered one of the hardest hitting safeties in the NFL, Addae's worth might be more important to the Chargers than fantasy owners. Analysis: Addae has been inconsistent through most of the season, but it's difficult to ignore Sunday's numbers. Utilizing a variety of three-safety sets, Addae was a disruptive player, particularly against the run. He and the rest of the Chargers defense will square off against a turnover-prone Raiders squad next week. Analysis: Addae led the team in tackles for the first time this season, taking advantage of Baker Mayfield's tendency to check down to rack up a plethora of stats. 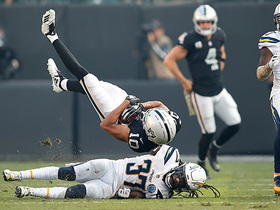 While the hard-hitting safety has lost a bit of luster alongside emerging star Derwin James, Addae has registered at least five tackles in four of the six games this season and remains a safe IDP choice in deeper leagues. Analysis: Addae took over his normal role at strong safety while 2018 first-round pick Derwin James manned the free safety spot, and both players played up to their potential despite the high-scoring affair. Addae set a career high in tackles (96) in 2017, and situated in arguably one of the deepest secondaries in the NFL, the 28-year-old appears poised to repeat similar numbers. Addae is expected to have a nice matchup against the struggling Bills next week. Addae looked impressive throughout a variety of snaps at free safety during the team's mandatory minicamp, Dan Woike of the Los Angeles Times reports. Addae finished 2017 with 96 tackles (66 solo), a half of a sack and seven defended passes. 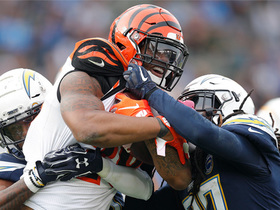 Addae secured seven tackles (five solo), a half of a sack and a forced fumble in the 14-7 win over the Jets on Sunday. 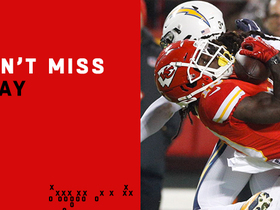 Analysis: Addae has been a revelation for the Chargers in his fifth season, as the box safety is set to play in all 16 games for only the second time in his career. Not surprisingly, the 27-year-old is putting up career numbers and is only eight tackles shy of breaking the century mark this season. 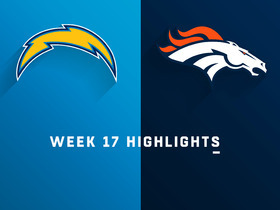 Addae piled up six tackles (five solo) in Sunday's 19-10 win over the Browns. Analysis: Gus Bradley's exotic 3-4 scheme continues to benefit Addae, as the hard-hitting safety has adapted well to the additional responsibilities. While the fifth-year player has yet to record a turnover this season, his abilities as an "in-the-box" safety make him a reliable IDP asset. Addae secured seven tackles (five solo) in the 28-6 win over the Cowboys on Thursday. 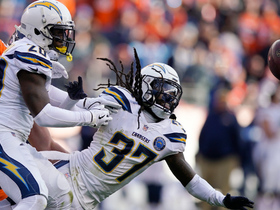 Analysis: Addae tied for the team-lead in tackles, as the Chargers three-pronged safeties confused and bewildered their opposition. 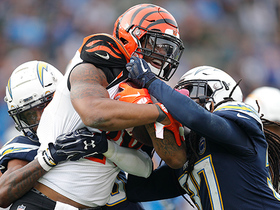 The 27-year-old continues to be a consistent IDP option, having registered at least seven tackles in four of the last five games. 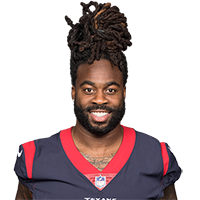 Addae recorded eight tackles (six solo) -- including two for a loss -- in the 20-17 overtime loss to the Jaguars on Sunday. Analysis: Addae continues to rack up the tackle numbers. While the fifth-year safety has never produced turnovers at an elite rate, he's now set a career-high in tackles with 65 despite playing in just nine games. He should be poised to build upon that impressive number so long as he can stay healthy. 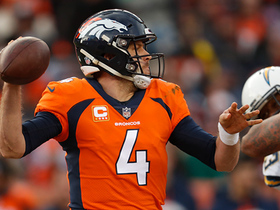 Denver Broncos quarterback Case Keenum slings a pass to his wide receiver Tim Patrick for 21 yards. 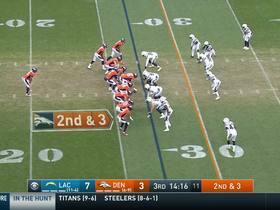 Denver Broncos quarterback Case Keenum launches a deep pass to his wide receiver River Cracraft for 44 yards. Kansas City Chiefs wide receiver Tyreek Hill hauls in a deep toss from quarterback Patrick Mahomes for 31 yards. Cincinnati Bengals running back Joe Mixon bowls through defenders on a bruising 19-yard run. 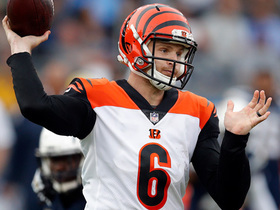 Cincinnati Bengals quarterback Jeff Driskel dissects three Los Angeles Chargers defenders on a 24-yard dime to his tight end C.J. Uzomah. Oakland Raiders wide receiver Seth Roberts makes an impressive windmill catch for a 15-yard gain. 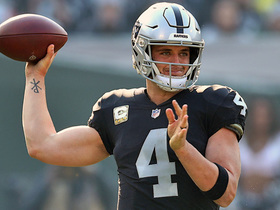 Oakland Raiders quarterback Derek Carr connects with tight end Jared Cook for a 31-yard gain.